I had an “a-ha” moment about Mary Earl Woodruff. It must be her dog that appears in this old photo. Actually, she may have simply been the one to order the photo. The reverse side lists her initials and surname and her presumed address at the time, 902 Salem Road. 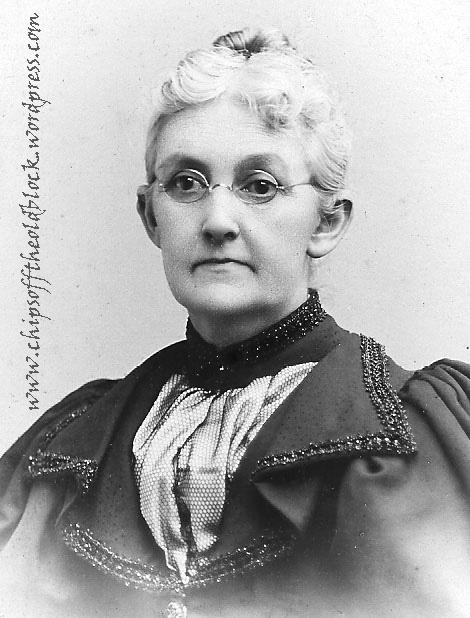 You know, of all Ogden & Phoebe’s 12 kids (4 girls and 8 boys), only one of the girls, Fannie Meeker Woodruff, went on to marry (William E. Townley). And it appears only half the boys lived long enough to marry: John Woodruff (m. Carrie Conover and lived to 81); Ogden Bonnell Woodruff (m. Helen Budd and lived to 70); Irenus Prime Woodruff (the film Transformers comes to mind for some reason! 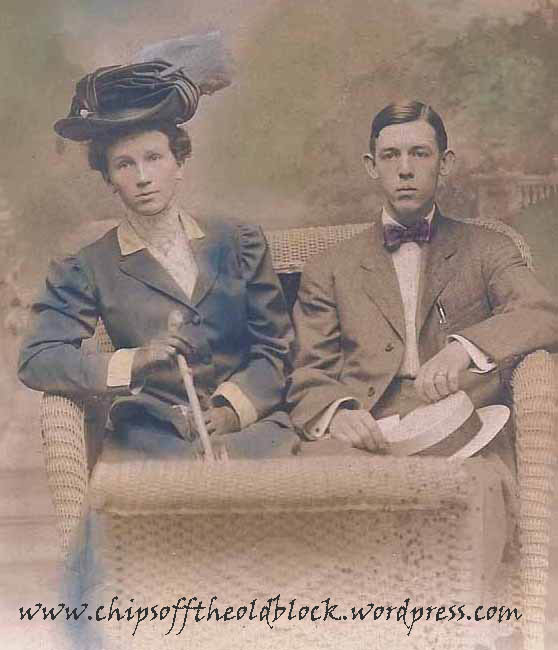 ), m. Ethel Viola Huff but died at 31; and Joseph Whitehead Woodruff (m. Bessie Scott Fry). 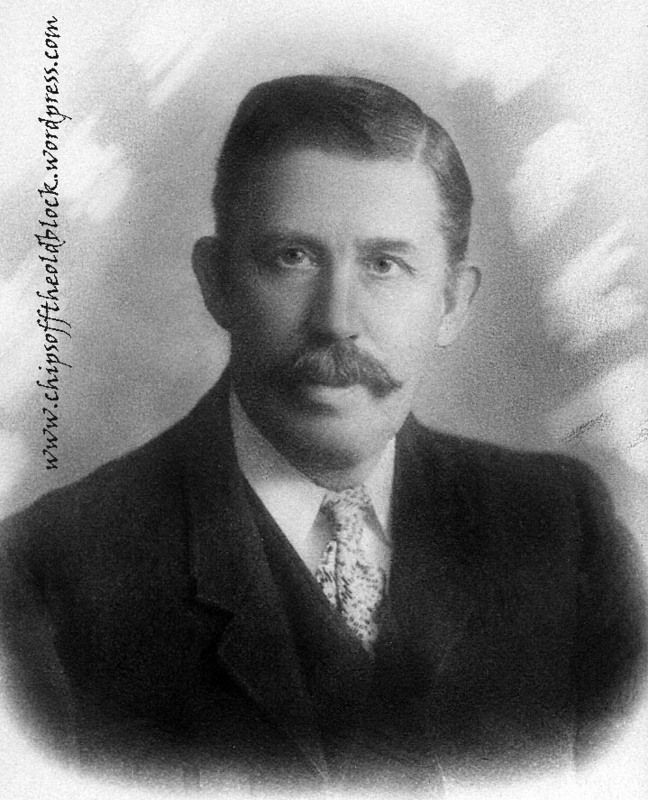 The twelfth child, Henry Cooley Woodruff, born when Phebe was about 44, died in 1886 after surviving just two years. 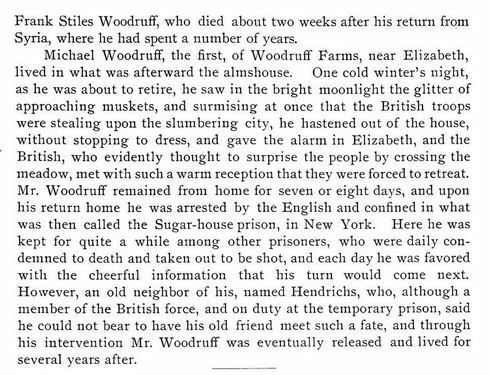 I think the Ogden Woodruff family must have been quite close to the Francis Woodruff family, from whom I descend by way of son William Earl Woodruff. Francis had three brothers, and Ogden was the youngest. The other two died quite young: Matthias from yellow fever, contracted in Louisiana at age 24; and Enos at 46. Francis’ kids (born between 1846 and 1855) would have been older than Ogden’s (born between 1860-1884), but Francis’ youngest and Ogden’s oldest weren’t that far apart. A number of them probably attended school at the same time. Youngest daughter Fannie, the only daughter to marry, is described as “beloved wife of William E. Townley II. 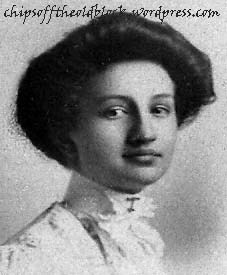 A native of Hillside, she lived at 431 Jersey Ave., Elizabeth, NJ, where her husband was a retail merchant on Broad Street and later on Grand Avenue., Elizabeth. She died after a long illness, June 17, 1956, at age 74. 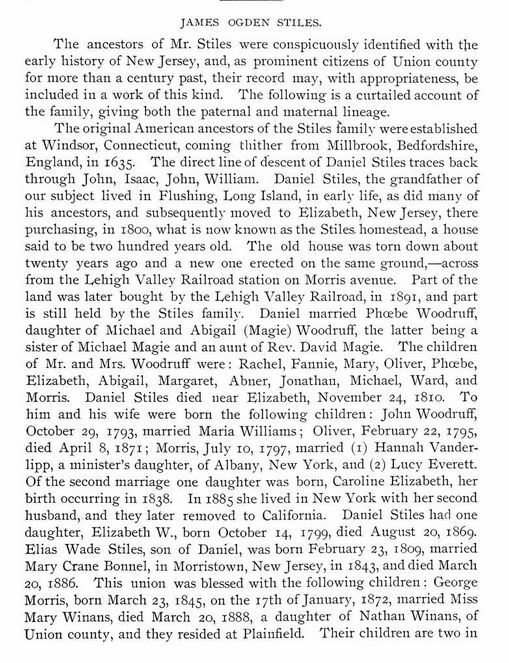 Her husband and children and two sisters survived,… Mr. and Mrs. Townley collected family records and genealogical data for many years and a considerable portion of the Woodruff records in this Vol. II are the result of 35 years of joint effort with one of the compilers of this book [Ceylon Woodruff Newton and Maurine R. Herod] on Woodruff Newton and . The Townleys were fine upright citizens and Mrs. Townley a devoted wife and mother…” The book goes on to give a sketch of the Townley family. 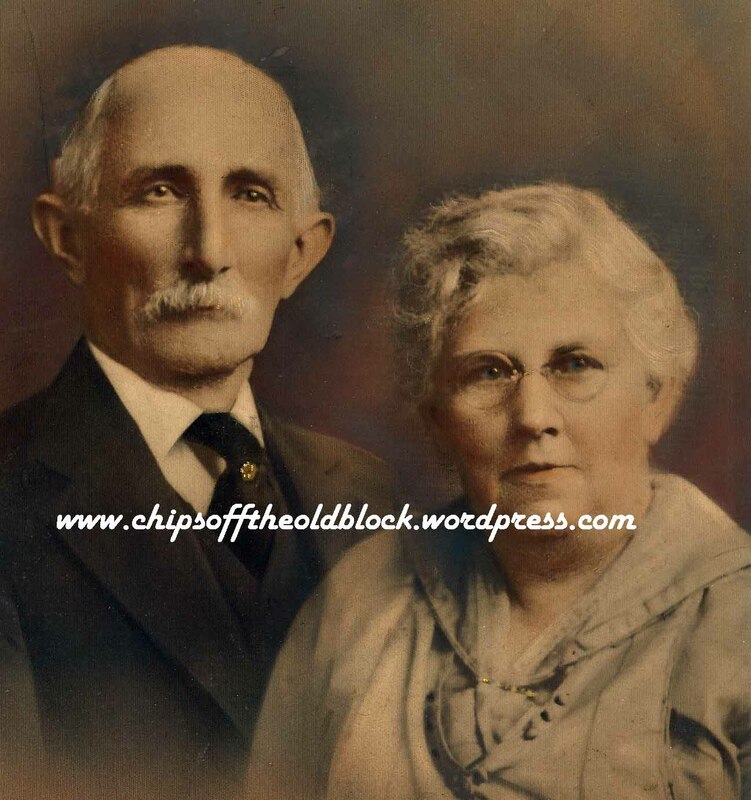 It is here that we can find the names of Fannie Meeker Woodruff and William Townley II’s children, grandchildren, and even great grandchildren. For privacy reasons, I will only list the children in the S-Z tab above. 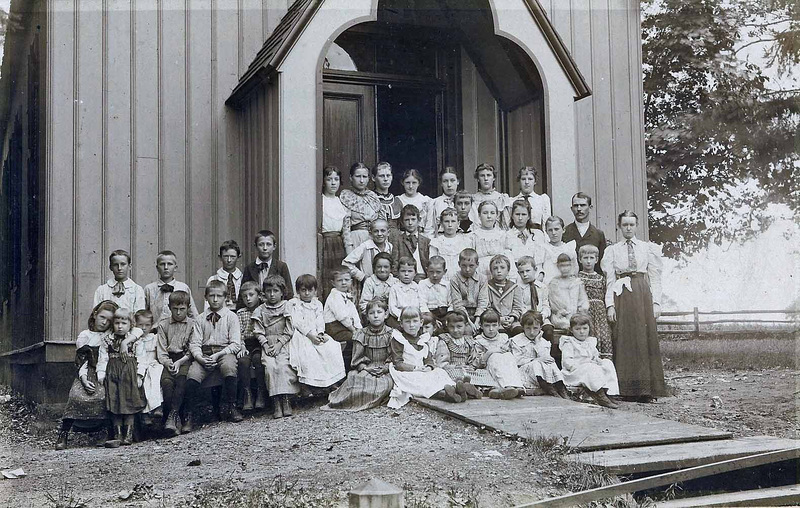 The lives of all the old Elizabeth families were heavily intertwined with each other. 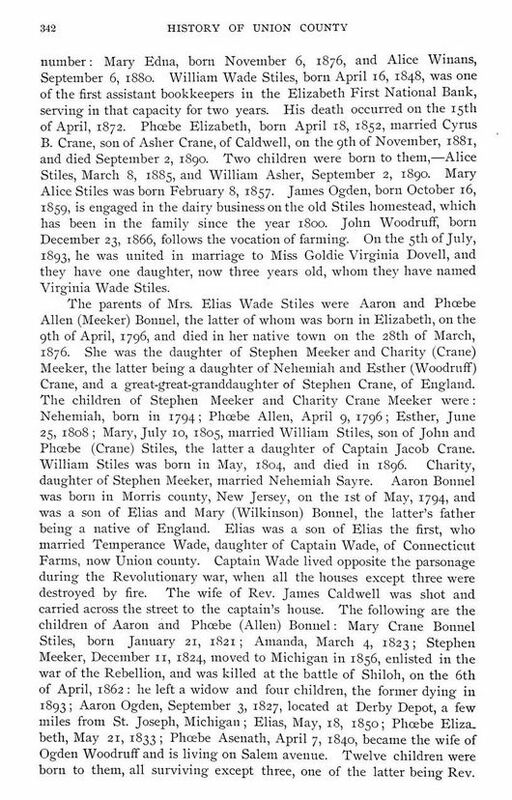 The surnames include those like Meeker, Stiles, Ogden, Earl, Crane, Lyon, and many others. You’ve stumbled upon many of these reading this blog, either as a first name, a middle name, or a surname. They say that if you scratch the surface of any present-day Russian, you’ll find a Tatar, owing to the invasion and occupation of Russia by Mongol hordes during the 13th to 15th centuries. 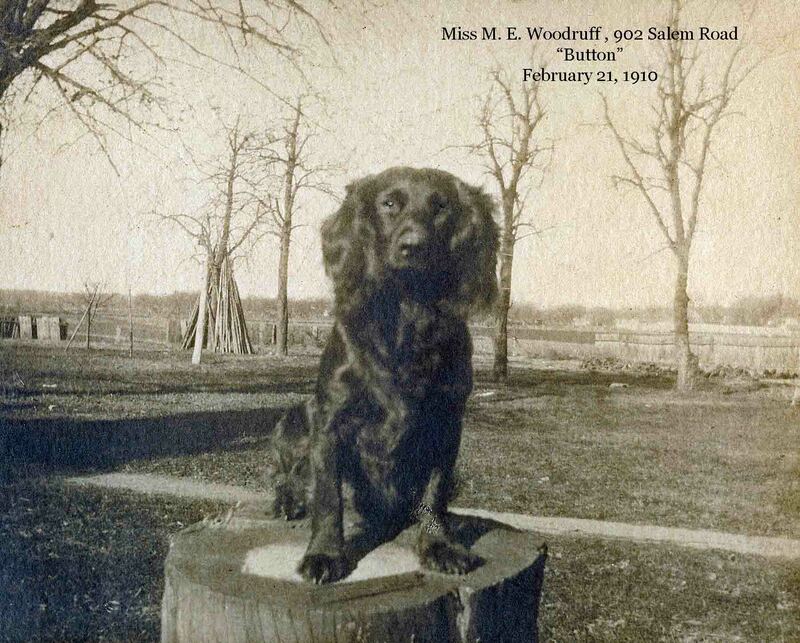 Scratch the surface of some present-day Woodruff descendants, and you just may find a smattering of all those old Elizabeth families mixed in with all the rest.